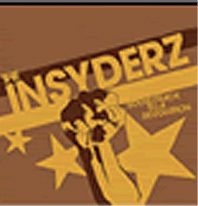 In the Spring of 1998, The Insyderz had no idea that they were on the fringe of the biggest trends of the late '90s - alternative worship music. 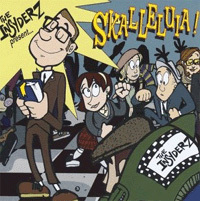 At a time when the critics were already saying that ska was dead, The Insyderz Present Skalleluia! released to much fanfare spending more than 25 weeks in the SoundScan Top 10 Christian album chart and spawning the Dove Award-winning hit "Awesome God." Playing more than 150 shows a year in front of more than 300,000 fans, The Insyderz have become one of the most popular bands in Christian music. The band debuted with Motor City Ska (1997), followed by Skalleluia in February 1998 and Fight of My Life on KMG Records in November 1998. The Insyderz Present Skalleluia Too! is the latest addition to their discography and continues the band's commitment to bringing worship to a younger crowd. Where they once performed a brief segment of praise music within the scope of a concert, they will now be able to perform entire concerts in worship. Let me just tell you I agree with you guys one hundred percent. 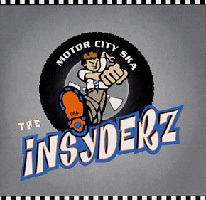 The Insyderz are the best Ska band out there. They got everything from spirit filled music to encouraging hearts. I know first hand, I've been to many concerts and have met them on many occasions. I have also hung out with them and let me tell you where they have been and where they are now would make any non believer believe in God's power. Especially Nate he has such an anointing on him. Even though it is sad that he left the Insyderz, I know he is about his fathers business. So I just thought I would add the support and write you. Hi. I love the Insyderz. They're soooooooooooooo good. They have an awesome beat to their music and it also has a message. Their music has made me respect them as brothers in Christ also. I actually just emailed the people from the christianmusic web site telling them to put them in the artist list. I'm glad I found someone that also likes the Insyderz.